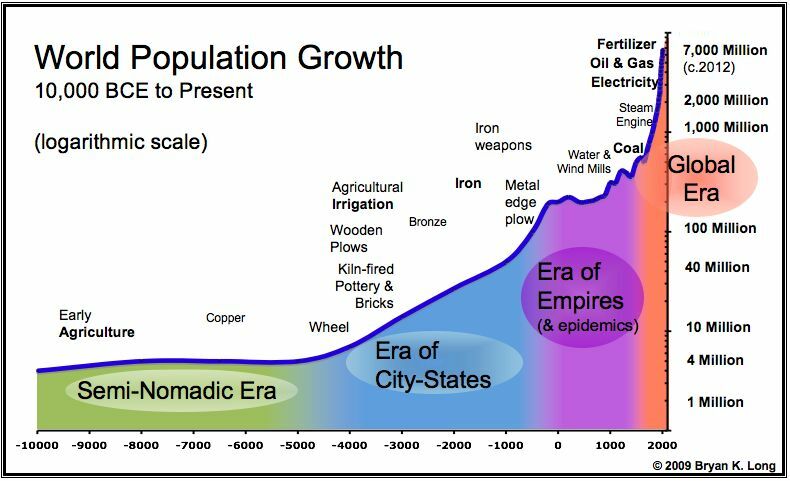 From 1700 to 2000 CE, a period of only 300 years, world population increased 10-fold to over 6,000 Million people – a compound annual growth rate of .75 %, ten times higher than in the previous era. More amazing, from 1900 to 2000, the growth rate was over 1.3 %, doubling twice in just 100 years. World population will have increased by almost as many people in the twelve years from 2000 to 2012 as it did in the 6000 years from the invention of the wheel to the invention of the steam engine!